On September 12, 1918, the American Expeditionary Forces under commander in chief General John J. Pershing launched their first major offensive in Europe as an independent army. General Pershing had placed the first American troops to land in Europe completely at the disposal of Marshall Ferdinand Foch, commander in chief of the French forces. Foch required immediate reinforcement of his troops in the Aisne-Marne region to halt the German Army's move towards Paris. The American troops fought in the trenches alongside the fatigued French forces at the Battle of Belleau Wood and the Second Battle of the Marne. Once the allied French and American forces had succeeded in halting the German advance in the Aisne-Marne area, Foch and Pershing agreed that the First U.S. Army would establish a headquarters in the Saint-Mihiel sector. The German Army had occupied the area in fall 1914, and fortified the triangular wedge between Verdun and Nancy known as the Saint-Mihiel salient, effectively preventing rail transport between Paris and the Eastern Front. General of the Armies John Joseph "Black Jack" Pershing, Honorary GCB (September 13, 1860 – July 15, 1948), was an officer in the United States Army. 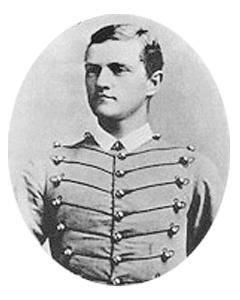 Pershing is the only person to be promoted in his own lifetime to the highest rank ever held in the United States Army—General of the Armies. (A retroactive Congressional edict passed in 1976 declared that George Washington has never been nor will ever be outranked). 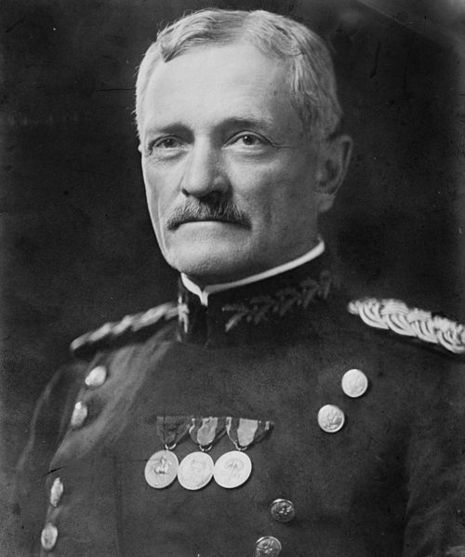 Pershing led the American Expeditionary Force in World War I and was regarded as a mentor by the generation of American generals who led the United States Army in Europe during World War II, including George C. Marshall, Dwight D. Eisenhower, Omar N. Bradley, and George S. Patton.